During his first inaugural address, President Roosevelt said, “…the only thing we have to fear is fear itself.” While he wasn’t talking about childbirth it does translates well. Fear of the unknown has the potential to cause a lot of damage, especially to pregnant women. The BLUF: Relaxation techniques are effective in countering the fear-tension-pain cycle. All of this fuels the fear of childbirth. Understanding the fear and how it affects you physically and mentally during birth is the key to successfully managing your labor. Fear can cause you to lose control and make hasty decisions. Fear of the unknown causes anxiety. Everyone processes anxiety differently but it leads to tension in your body, namely your uterus. The tension increases and muscles (your uterus) contract which leads to more pain. The more it hurts, the more scared you get. Fear of the unknown causes anxiety. When you’re anxious you feel rushed and hurried which is not conducive to decision making. The tension builds and the pain becomes worse. You start thinking “this hurts a lot! Something must be wrong!” The more it hurts the more frightened you become. In both instances your lack of knowledge and the building pain leads you to make decisions based on fear of the unknown. 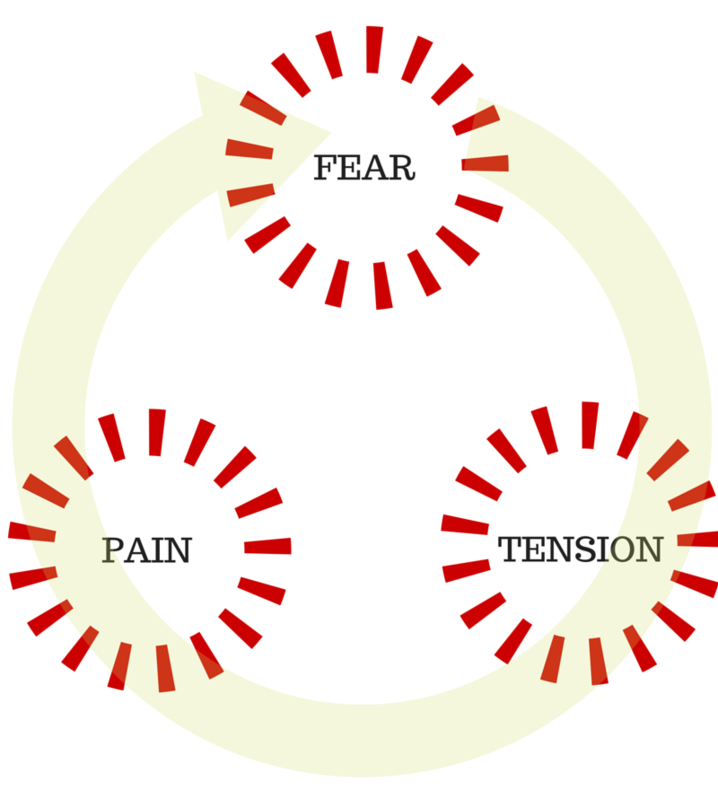 It’s a vicious cycle that can only be stopped by choking the fear. 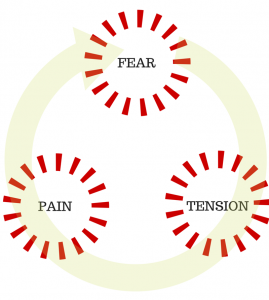 Here’s where a childbirth class which discusses the fear-tension-pain cycle is beneficial. You learn not only the effects of the cycle, but how to counter it. In a setting with other women and their partners who have similar concerns you’ll learn to tune out the noise of reality TV, shock & awe headlines, and loud friends with nothing but scary stories of their birth. Lamaze instructors are well versed in the benefits of evidence based research and the Lamaze Healthy Birth Practices™. They know that the fight or flight response is not an option for laboring women. The response you need to learn relaxation. Relaxation techniques and comfort measures are the core any good childbirth class. While more research is still needed, a recent Cochrane review found that yoga and relaxation techniques such as acupuncture, massage, reflexology, herbal and homeopathic remedies, music, meditations, visualization, and breathing all contributed to “less intense pain, increased satisfaction with childbirth, and lower rates of assisted vaginal delivery.” Relaxation techniques work. Another Cochrane study specifically addressing aromatherapy for pain management during labor found “no difference between groups for pain intensity, assisted virginal birth, cesarean section or the use of pharmacological pain relief (epidural. )” However, if it helps you relax and remain in control of your labor then it’s worth a try. Get connected with a support group. Learning about your upcoming birth is the best way to reduce your fears. You’ll become an educated consumer of health care, meet some like-minded new moms, and hopefully achieve the birth you desire. Hall, Stoll, Brown, & Hutton, 2012; Ryding, Wijma, Wijma, & Rydhström, 1998.